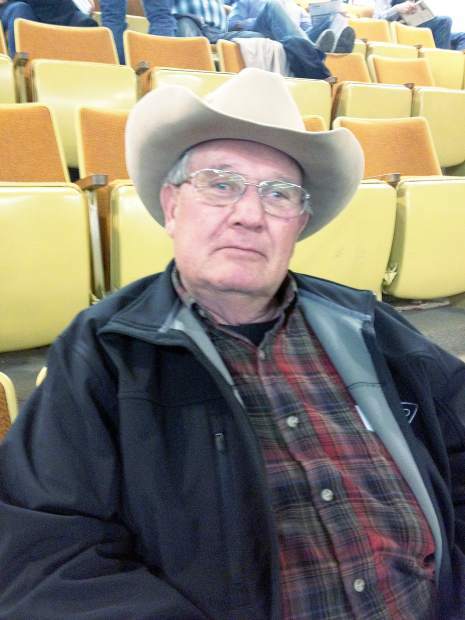 Ken Kingsbury of Wood, S.D., sat patiently all day and bought an excellent bull at the end of the sale. Pat and Laurie Holeman of Westerville, Neb., bought some good bulls throughout the day. 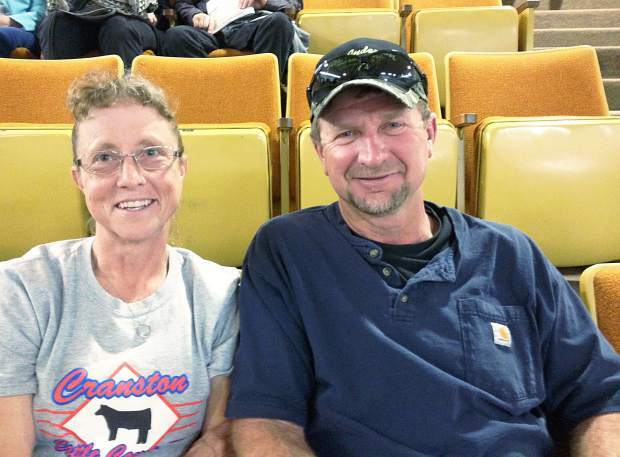 Topping the sale was Lot 3B, Ridge Crossfire 4009, selling for $18,000 to Birnie Red Angus of Broken Bow, Nebraska. This 5L Blazin Red 1354-6166 son was born Jan. 18, 2014, weighing in at 86 lbs and weaned off weighing 733 pounds This bull's EPDs are BW -1.6, WW 47, YW 64, and Milk 23. Lot 20, Birnie Express 31B, sold to Brandon & Dennis Wyckioff of Brewster, Nebraska for $9500. This MLK CRK Express 9127 son was born 3/6/14 weighing in at 98lbs and had a weaning weight of 673 pounds This crowd favorite has EPDs of BW 1.2, WW 63, YW 97, and Milk 17. Lot 24 also sold for $9500 to Rutt Red Angus of Campbell, Nebraska. Ridge Zodiac 4081 is another 5L Zodiac 1134-372Z son with EPDs of BW 1.2, WW 53, YW 83, and Milk 20. He was born 2/20/14, weighing 92lbs and tipped the scale at 653lbs during weaning. Selling for $9250 at the end of the sale was Lot 120, a 2 year-old bull, purchased by Ken Kinsbury of Wood, SD. Empire 3116 SCN is a Ridge Empire 0028 son born 4/27/13 weighing an incredible 60 pounds and growing up by weaning, tipping the scale at 691 pounds This was an impressive bull with EPDs of BW -5.4, WW 38, YW 56, and Milk 25.